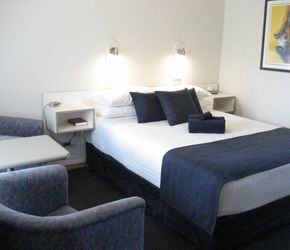 We are a 3.5 self rated motel located at the heart of the beautiful Tuggerah Lakes region in New South Wales. Minutes from Lake Macquarie, we are a perfect base to explore and enjoy everything the Central Coast offers. 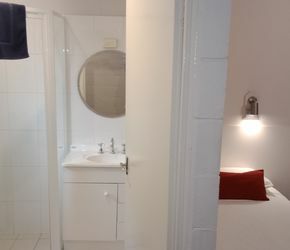 With a total of 12 rooms, and the property operated by the owners, we have a local and friendly feel. 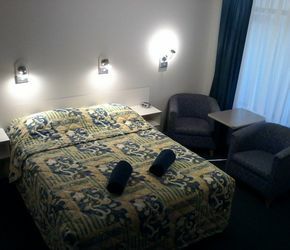 We offer quality, clean and comfortable accommodation within easy reach of highly regarded local attractions. Such as bushwalking in Lake Munmorah Conservation Area, fishing, kayaking & boating in Lake Macquarie. Or a visit to the historic seaside town of Catherine Hill Bay, as pictured above. Conveniently located along the Pacific Highway, between the beaches and the lakes at the northern end of the NSW Central Coast. Select from a small variety of tea & coffee in your motel room. or if you are up & about with a cup of coffee, we have you covered. We are located 500m from Lake Munmorah and 2klm from the southern end of Lake Macquarie. 5 Minute drive to the Munmorah State Conversation Area which has beautiful beaches and rocky outcrops to visit. There are a number of local Clubs in the area that will pick you up and drop you back to our Motel. Have a PlanB & take advantage of this service to get you safely to/from an evening meal or your function. for all your facebook, insta & messaging needs. 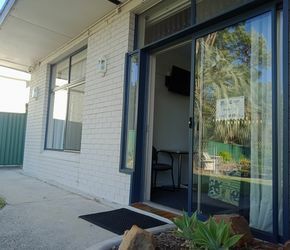 Each room booked here at Lake Munmorah Motel comes with Off Street Parking for 1x Car included. Please call us for alternatives for additional vehicles. We have parking for long or heavy vehicles off the highway, on the grassed area out the front, adjacent to the Motel. We Sell a Good Night's Sleep! 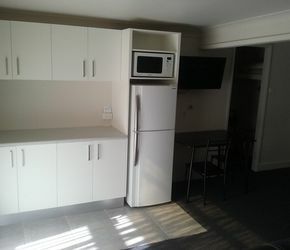 welcome to Lake Munmorah Motel.